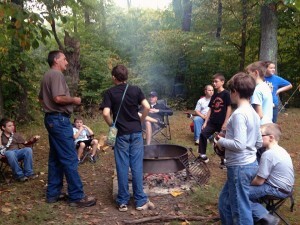 Unit 6 Ashland (Ohio) Southview boys gather for devotions at the recent Fall Outpost near Perrysville, Ohio. Nurturing future leaders is simple. All it takes is a little time and the right tools to spark a passion in a young boy. Sometimes it’s a literal spark. 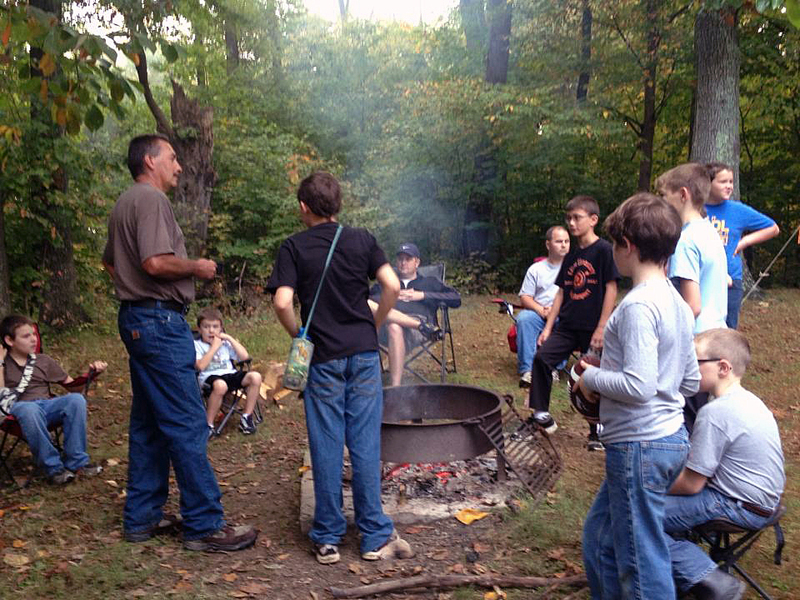 Grace Brethren Boys (GBB) is a ministry to young boys that uses outdoor skill-building activities like fire starting and tent building as a vehicle for the opportunity to be mentored by Christian church leaders and men in the church. Established in 1974, GBB was modeled after the Boy Scouts and the mandate in 2 Timothy 2:2. 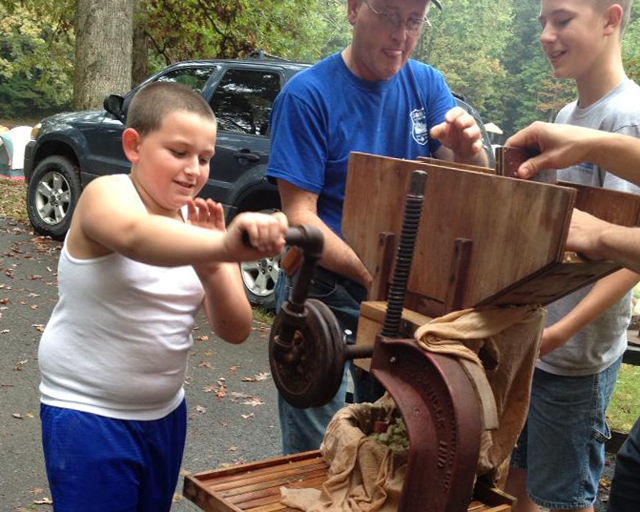 In the program, unit leaders take the boys on camping and service trips, guide them through Scripture and teach them the basics of the Christian faith. William Wegert, who grew up in a Grace Brethren church in Fremont, Ohio, and participated in GBB with his father, Matt, believes the ministry had a profound impact on his leadership skills and spiritual development. He also watched the program positively influence his peers, some of whom didn’t have fathers. 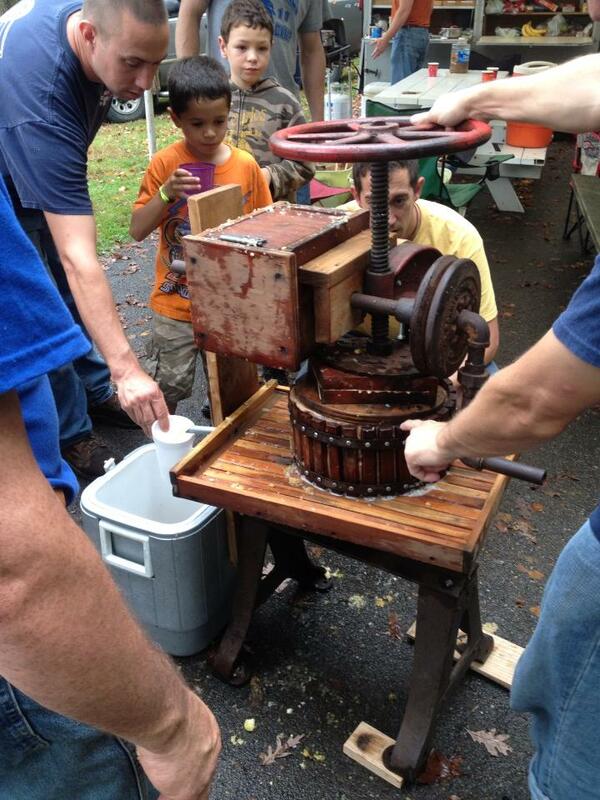 The boys learned to make apple cider at the recent Fall Outpost. 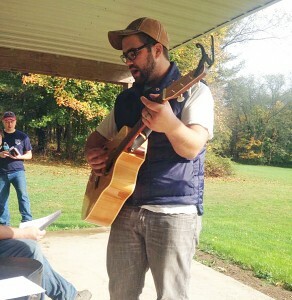 Erik Jensen leads worship at the recent GBB Fall Outpost. Currently GBB is in the process of refocusing slightly, giving more emphasis to Bible teaching and service. They will add “Recruit” to the boys’ list of ranks to achieve, highlighting the importance of sharing the opportunity with others. They also have started doing more volunteer work. Gable is encouraged to see several of graduating GBB guys attending a Christian college with an emphasis on youth ministry or missions. Currently 15 Grace Brethren congregations in Indiana, Ohio, and Pennsylvania are involved with GBB, and Gable hopes to see many more men mobilized and impassioned to disciple the next generation of Christian leaders and missionaries through GBB’s simple, effective methods. “Boys and young men need to see godly leadership modeled through an experienced man. GBB does that and is focused on strengthening leadership, building God’s kingdom through outreach, and weaving service into young men. Every church could benefit from a ministry that’s focused on that.